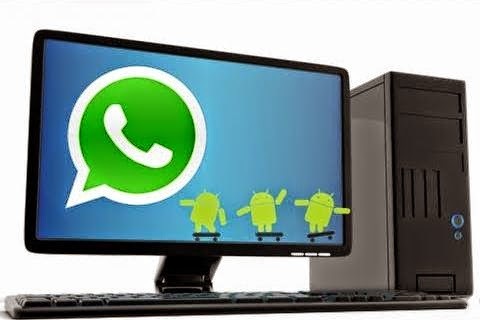 WhatsApp Messenger is a cross-platform mobile messaging app which allows you to exchange messages without having to pay for SMS.WhatsApp Messenger is available for Android,iPhone,BlackBerry,Windows Phone & Many others, those phones can all message each other Because WhatsApp Messenger uses the same internet data plan that you use for email and web browsing, there is no cost to message and stay in touch with your friends.We can install watsapp on your PC or MAC by using BlueStacks which is an Android Emulator.BlueStacks App Player helps you install WhatsApp and thousands other application because its an Android operating system running ontop of your Windows PC or MAC Operating system. 2 GB physical memory requierd :/ what to do now :O help!! I have issues with connection on the internet with bluestacks. I tried several versions of bluestacks, and all of them have same problem. Any idea what to do? Well, I guess, it will be easier to use Kik for PC and enjoy chatting with your loved ones. Remeber, it allows to backup your messages. I would like you to hop over to this website to find more details. In his fantastic book, A Theory of Fun for Game Design, Raph Koster characterizes a diversion to be an intelligent affair that gives the player an inexorably difficult grouping of examples which he or she learns and in the long run aces. Koster's asser-tion is that the exercises of learning and acing are at the core of what we call "fun," similarly as a joke ends up plainly interesting right now we "get it" by perceiving the example. that's an amazing post, click here to know about my blog.